Cairo bourse edged lower on Wednesday incurring losses estimated at 5.9 billion Egyptian pounds on local and Arab selling pressures. The market capitalisation reached 631.870 billion pounds during the closing session of Wednesday. 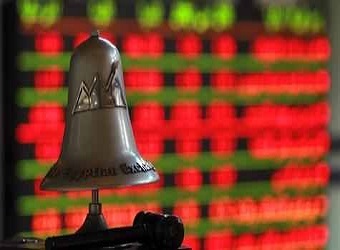 Egypt’s benchmark index, EGX30 dropped by 0.98 percent to 13304.44 points. The EGX50 EWI index sagged by 1.85 percent to 2052.72 points. EGX20 slid by 1.41 percent to 13192.48 points. In addition, the mid- and small-cap index EGX70 decreased by 1.19 percent to 475.82 points. The price index, EGX100 inched down by 0.61 percent to 1162.42 points. On Wednesday, the bourse’s trading volume has reached 643.481 million securities, with turnovers closed at 2.117 billion pounds, exchanged through 48,636 thousand transactions. Also during the closing session, 183 listed securities have been traded in; 119 declined, 43 advanced; while 21 kept their previous levels. Local and Arab investors were net sellers on Wednesday seizing 75.04 percent and 10.47 percent respectively of the total markets, with a net equity of 123.242 million pounds and 13.628 million pounds, respectively, excluding the deals. On the contrary, foreign investors were net buyers getting 14.49 percent of the total market, with a net equity of 136.870 million pounds, excluding the deals.